The Spanish forward, a loan signing from Paris Saint-Germain, finished crisply in the 47th minute to bring Arsene Wenger’s side down to earth after their opening 4-3 win over Leicester City. It was an early blow to Arsenal’s title aspirations and left them three points behind early pace-setters Manchester United, who won 4-0 for the second game running at Swansea City. After driving at Arsenal’s back four from halfway, he swapped passes with Saido Berahino and then drilled a left-foot shot past the advancing Petr Cech. Arsenal, who remain without the injured Alexis Sanchez, thought they had equalised in the 72nd minute when Alexandre Lacazette lashed home, but it was chalked off due to a marginal — but correct — offside. Eric Bailly, Paul Pogba and substitute Anthony Martial also found the net at the Liberty Stadium, giving Jose Mourinho’s side their second big win after last weekend’s 4-0 victory over West Ham United. “The team was confident from the first minute,” said Mourinho after a result that means United have scored four goals in their first two league games for the first time in 110 years. Sadio Mane struck in the 73rd minute to earn Liverpool a 1-0 home win over Crystal Palace and get Jurgen Klopp’s side up and running after their 3-3 draw at Watford on the opening weekend. “It was a hard job. I have no idea how much we had the ball, but it was a lot,” Klopp told Sky Sports. Javier Hernandez’s first two West Ham goals drew the 10 men level, only for Austin to secure victory from the spot after Maya Yoshida was fouled by Pablo Zabaleta. 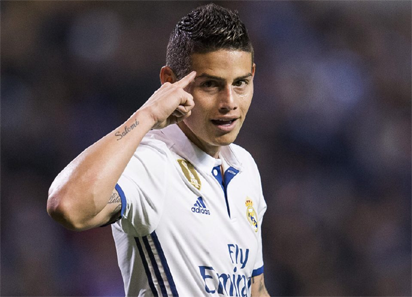 The post Jese sinks Arsenal, Man United hit four again appeared first on Vanguard News.